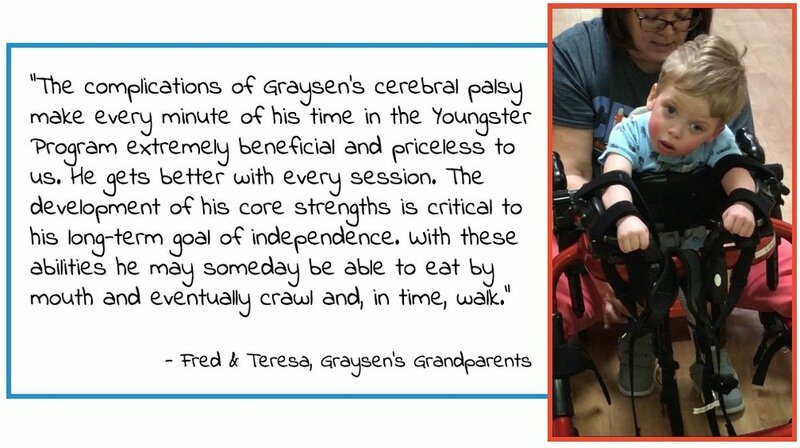 Your gift makes it possible children and adults like Graysen to take hold of their powerful abilities. Thank you for supporting CECO's superheroes and their incredible families! CECO, Conductive Education Center of Orlando, Inc. is a 501(c)(3) nonprofit organization. Contributions are tax-deductible to the extent allowed by law. Contributions benefit CECO. A copy of the official registration of CECO (CH38221) and financial information may be obtained from the Division of Consumer Services at www.800helpfla.com or by calling toll-free 1 (800) HELP-FLA (435-7352) within the state or by visiting www.800HELPFLA.COM. Registration does not imply endorsement, approval, or recommendation by the state.